Offering a unique tapas and cocktail menu, this expansive 3-story rooftop bar is the perfectly posh place to unwind during your visit. The posh rooftop patio is decorated with sleek white furniture, suspended swings, breezy cabanas and open spaces that are perfect for mingling and making new friends. With a menu full of photo-worthy cocktails from mixologist Ryan Baird and tapas options that are both delicious and perfect for sharing, 77 Degrees&apos; swanky vibe is sure to impress. Stop in to the brand new brick and mortar location of this famed east Austin food truck, headed by Executive Chef Thai Changthong. Thai Kun features an expanded menu with delicious, inventive Thai food options including flavorful satays, refreshing papaya salads and a cocktail list that will turn your regular old happy hour into #happyhappytime. 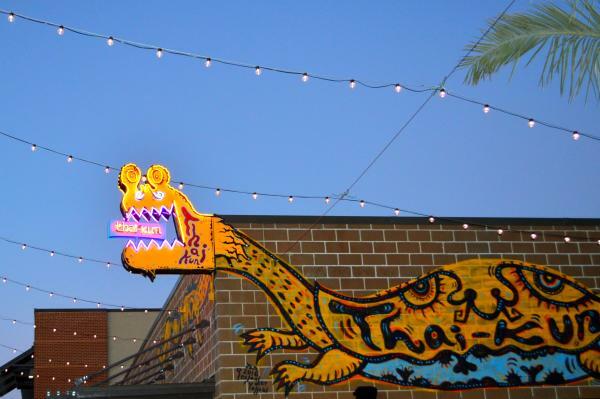 Characterized by the open kitchen and no-fuss atmosphere, Thai Kun stays true to the laid-back and Austin-cool vibe of its humble beginnings. Fulling embracing its namesake, Saint Genevieve, the Patron Saint of Good Times, Rock Rose’s new upscale lounge is a space made for gathering around good food and libations. The space is clean welcoming to all who enter. Stop by for brunch or a happy hour drink, share a few of the delicious plates and let St. Genevieve become your new go-to hangout spot. The Dogwood keeps it casual among the other high-end bars that occupy the Rock Rose district. This spot incorporates classic Southern hospitality into the service as well as the menu. Enjoy live music or dance the night away with a DJ during your next visit. The spacious patios and unbeatable views give The Dogwood a community-centric atmosphere that’s great for large gatherings. Of course, what would The Domain be without shopping? 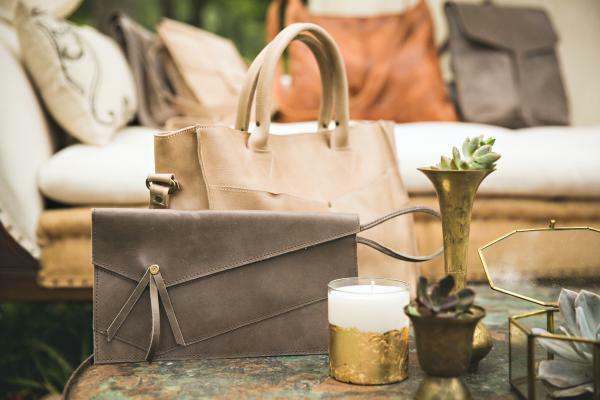 Rock Rose includes a handful of shopping options including Raven + Lily, an ethical fashion and lifestyle boutique dedicated to empowering women through design. Raven + Lily provides handmade, fair-trade and eco-friendly products, all while employing over 1,500 marginalized women. Newly opened Golden Bones is the shopping destination for fashion-forward women who want to stand out. Golden Bones began as a small collaboration between two best friends and has developed into the new go-to store on Rock Rose for chic apparel, accessories, shoes and more. They offer a variety of products aside from clothing including unique home décor and gifts for women of all styles and interests.